Carl Cox has a business empire that involves far more than just DJing, and he’s spent many years of full-time work building it. Have you ever got a glimpse deeper into the life of a big name DJ? Or even one of the middle-ground players who may not make the DJ Mag Top 100 list, but seemingly play constantly and thus it appears that DJing is their only job? If you have, you’ll already know that pretty much all the success stories in DJing are people who gave and still give a full-time effort to the craft. Why? Because DJing as a profession isn’t just about blending and song selection, but about how those who succeed in it view and work themselves as a business. Most top names now do way more work outside of the actual act of getting into the booth and performing. They’re producing, running record labels, writing articles for publications, promoting, marketing, running nights and events, and even investing in new business ideas. Now I’m not going to proclaim that you must put a full-time effort into DJing if you want to succeed. I’ve seen some guys become regular players locally while holding down a day job. Very few even who simply just spin music and do not have to do anything more, like marketing and promoting. Unfortunately there is maybe one of those stories for every thousand other guys who, in order to get a career out of DJing, do much more work outside of the booth in order to get regular gigs. And even among the “part-timers”, some still don’t have much of a life outside of the normal job, the DJ jobs, and all the promotion work they do leading up to the DJ jobs. When you look at the bigger players, it literally becomes a round-the-clock affair for them. I’ll start with one of the biggest names out there, Carl Cox. 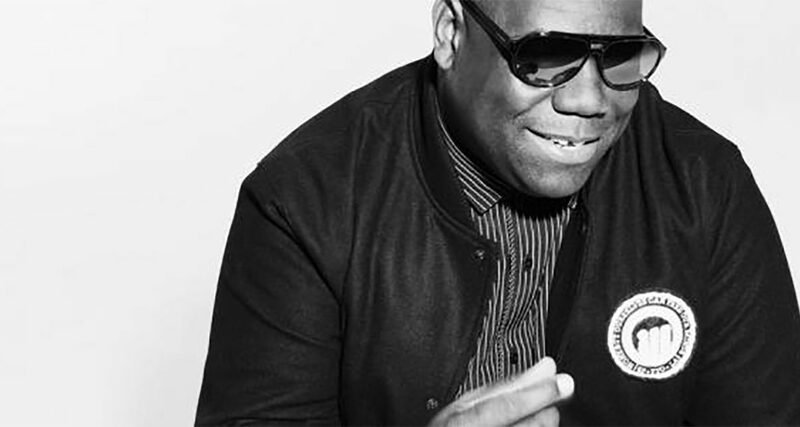 I came into really understanding what the Carl Cox business was when he was interviewed, and he spoke of how he’s getting older and will eventually have to “hand over the torch” to some younger DJ that will become the new big superstar. What struck me about that statement and interview is that while most people worry about how they would survive if they suddenly couldn’t work any more outside of their profession, it was clear that Cox was concentrating on building an empire, rather than just a career. He has two record labels and represents many artists on those labels. He produces, runs and promotes nights, plays for radio shows, and holds several residencies. Not to mention selling music and merchandise. You can obviously see how much Carl does outside of the booth, and even how he could live beyond DJing. 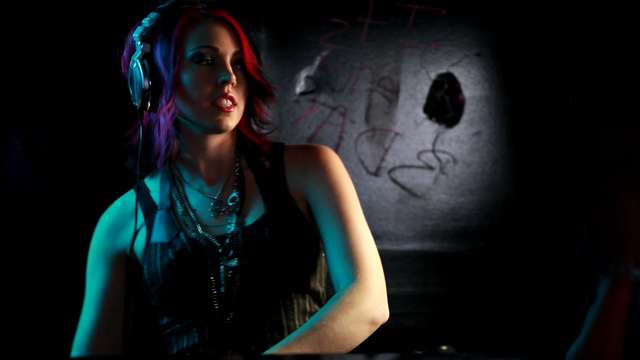 Dani Deahl has made DJing her business, so she can be trusted to organise events and thus take her own DJing to the next level. Let’s think younger now. I love to pull out Dani Deahl as a prime example of how to put full-time effort into your DJ career. I’ve known Dani for a while, even back when she used to DJ under another name. I was very impressed when I could see the empire she managed to build over a number of years. Dani not only DJs all over the place, but has been a representative for Red Bull, as a DJ. She runs her own record label, produces, and writes for several publications… often times doing interviews of bigger names. She also runs a successful blog on her own web site that supplies loads of free and legal music to DJs all over the world. Most recently, Dani was hired on to direct a remix competition for Chicago’s annual Lollapalooza festival, because the promoter sees her as the right person for the job. Do you see how both Carl and Dani not only managed to grow into success, but keep it? They made a full-time effort out of it. 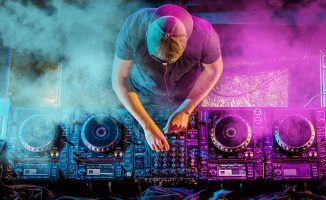 Perhaps the DJ now might have to suffer a bit either in giving up sleep and a personal life, or struggling with money to grow, but it is a necessary evil when you want to go beyond just playing one or two nights a week in your hometown. You have to become a marketing machine, and a regular player in the industry as a whole. Chicago’s Bad Boy Bill didn’t grow into the big leagues until he opened a multimedia company and used it to elevate his DJ shows from just him to a whole night of entertainment. Armin Van Buuren not only DJs, but also produces, promotes, manages, and creates loads of content every week (radio shows and podcasts). Danny Tenaglia in the past literally ran his weekly night DTourism, as well as blogging, writing, producing, and managing many affairs. Trying to practise at work is all well and good, but if you’re really serious, you’re going to have to live, sleep and breathe it 24/7. So what about if you’re not wanting to be a big name DJ? How about the mobile DJs? Same deal. If you’re not playing at the wedding or event on the weekend, then you’re out hustling, networking, and building your empire. Just look at some of the more successful companies in your neck of the woods, who made a full-time effort to grow. It’s very difficult to get bigger if you can’t put the necessary time in. How far you want to go in DJing depends should determine how much time you choose to give to it. You don’t have to make a full-time effort, but you should if your goal is to grow beyond being a normal DJ, especially if you want to become a globe-trotting DJ; then, you should be ready to put in the kind of time and effort that brings people success. The fantasy of the DJ who lies around all day and then gets paid big money to play on the weekends isn’t very real. Just look beyond the booth at the big names and you’ll see. How much effort do you make towards building your “DJ empire”? Has more effort helped you grow and succeed as a DJ? Or are you happy with DJing as a fun hobby? Let us know your thoughts and experiences in the comments. I’m currently studying actuarial science full time so I really don’t have much time to put into promoting, producing and everything. I do the occasional gig when I am asked to but I don’t often go around begging promoters or club owners for a spot. I’m looking to go a bit deeper into that this summer when I have more time, hopefully it works out! I honestly don’t think DJing will really get you anywhere other than locally. Producing sounds like the best way to prove your worth and if you excel at it, even if you’re not that good at DJing you can either practice and become good or just ghost-write. One of my biggest inspirational stories is Gui Boratto, who was basically an architect who kept producing on the side for years and at some point he broke through and made it “big”. It’s definitely what I aim to do with my life and it’s a story people should read up on. Exactly. I poor my heart and soul into my DJ sets, and take the time to make friends with everyone I can when I am out at a gig, but my money and brain power go towards making my own music. I’m also a full time student, I just don’t have much of a life! Many producers go from part-time hobbyists to big names rapidly. 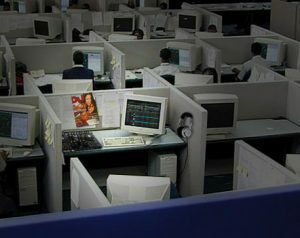 Many others have a smooth but less dramatic path, as they slowly build a reputation through part-time work, until they have a gigging/sales income big enough to cut their hours at the day job or quit entirely. I’d go so far as to say that it’s close to impossible now to become famous through DJing alone. The market is saturated and it’s not impressive to play tracks. Production is way harder, of course. I’ve been practicing for two years and I’m about to get my first single release. Not a fast process. I work days m-f & fulltime Dad. But im one busy MF on Thur, Fri & Sat. nights playing at Bars. You have to suffer, nothing comes easy. This series has been great! Many years ago you had to hope to become close friends with someone who had made it who was willing to spill their guts with this stuff. The whole series sounds like a book in the making. Making tunes is the quicker way into building a reputation but consider this.. whilst it is now easier to make your own tunes and get them released the amount of people you are competing against compared to just a few years ago is incredible, therfore its even harder to get noticed. You’re right. Most of this article is aimed at those looking to become a Carl Cox, Deadmau5, or Paul Van Dyk. Turntablism is still a form of DJing that is solely on talent…and talent on the decks can get you places very easily in this realm. However, I will say it takes a lot of time to find interesting sounds to play with, put together innovative sets, and even build a fanbase to scream for you at competitions. Even Qbert had to build an empire in many ways outside of just performing. I fully agree. 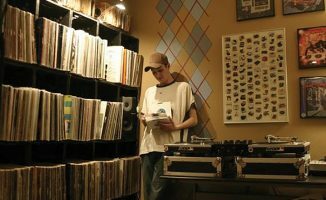 Q-Bert has a company named Thud Rumble which specializes in vinyl and merchandise for the scratch DJ, but still in an interview with DJ Revolution he claims that most of his time is spent on perfecting his craft (the scratch).